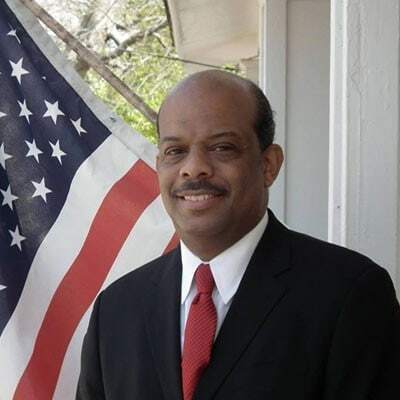 Mayor William “Bill” Rawls, Jr. is a businessman born and raised in Brownsville, Tennessee. Mayor Rawls is a product of the Haywood County public school system and a 1984 graduate of Haywood High School. After completion of high school, Bill Jr., as he is affectionately known by friends and family, honorably served in the United States Army Reserves for eight years, where he trained as an x-ray technician. A proud 1989 graduate of Morehouse College in Atlanta, GA, he holds a B.A. with a concentration in Banking and Finance. Mr. Rawls is a partner in Rawls Funeral Homes, a third generation family owned business that has been a staple in the Brownsville community since 1933. He also worked for Golden Circle Life Insurance Company for 12 years. There he was a licensed insurance agent and responsible for managing the company’s municipal bonds portfolio. Mayor Rawls has been a licensed funeral director since 1990 in the state of Tennessee and continues to assist with the management of the family business. His term as City Mayor of Brownsville, Tennessee is his first public office. Mayor Rawls has a wealth of knowledge in regard to budget and finance and he has built a vast network. This allows him to make intelligent decisions regarding education, health and wellness and industrial development that directly translate into the continued growth and flourishing of the city and its citizens. Mr. Rawls is also the proud father of two sons, Terry and Evan Rawls.